Pack of five new, unused, insulator storage boxes. 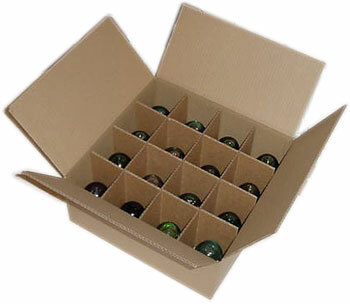 Corrugated cardboard boxes for insulator storage, with inserts (partitions). Both the boxes and the inserts have at least a 200-lb. per square inch bursting strength. Box dimensions: 15" x 15" x 6"
Set of five boxes + inserts: $12.95 plus shipping.